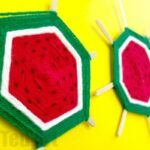 Dolly Peg Worry Dolls – How to Make Worry Dolls with Pegs! 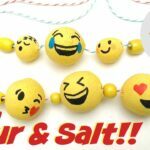 Finally, I get to share these adorable Worry Dolls how to. 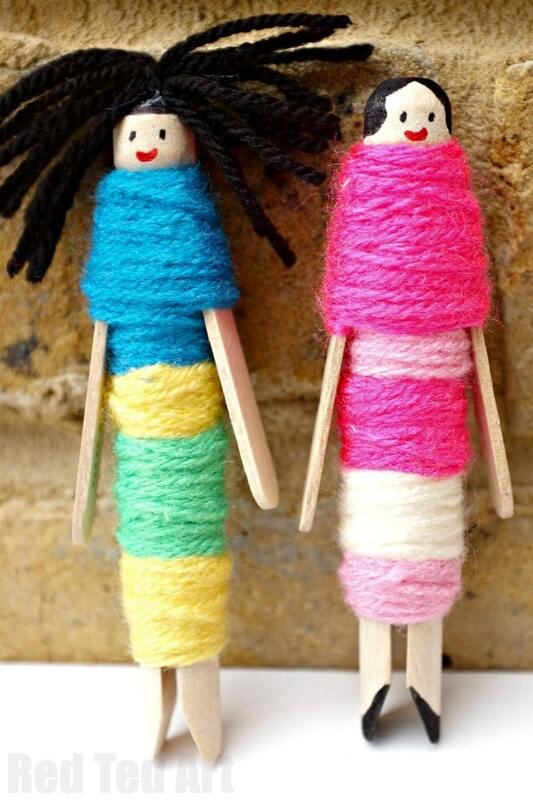 I love the simplicity of these Worry Dolls as well as the bright and cheerful colours. 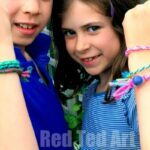 I think Worry Doll Crafts are a great SUMMER CRAFT for kids – as you can make them and take them with you to Summer Camp or the Grandparent’s house. 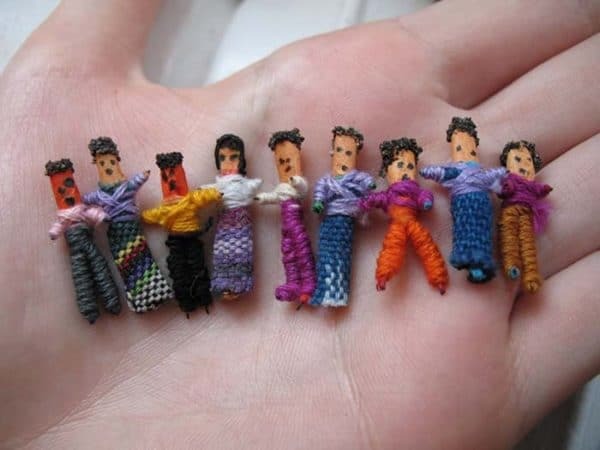 Wherever there is separation and a little worry.. these worry dolls will help! 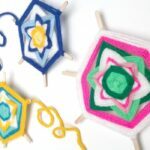 Worry Dolls are traditional little dolls originally made in Guatemala – the idea is simple – if at night you find yourself worrying about things (and worries have a habit of bothering you when you are trying to sleep), you tell your worries to these little dolls and place them under your pillow. 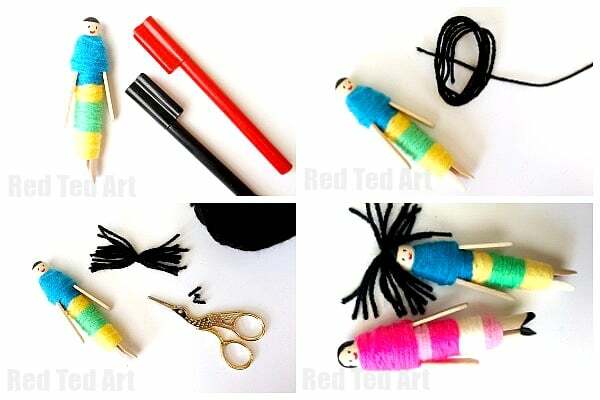 The traditional worry dolls are very small, made from things like match sticks and scraps of fabric. 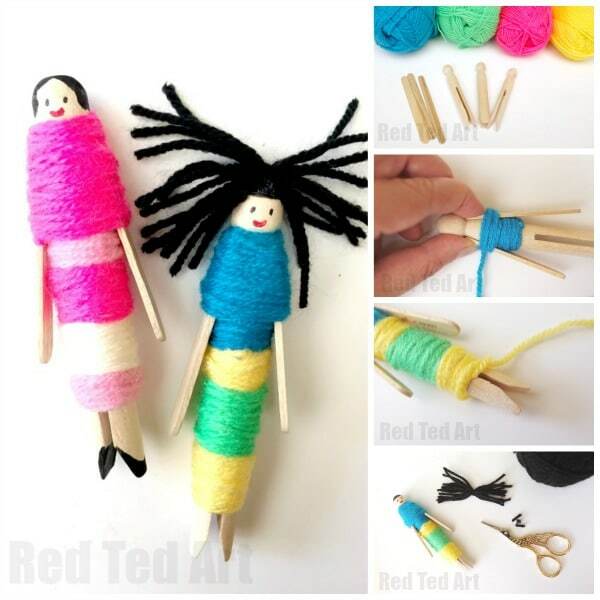 Since then, there are lots of variations of making these bright and colourful worry dolls. 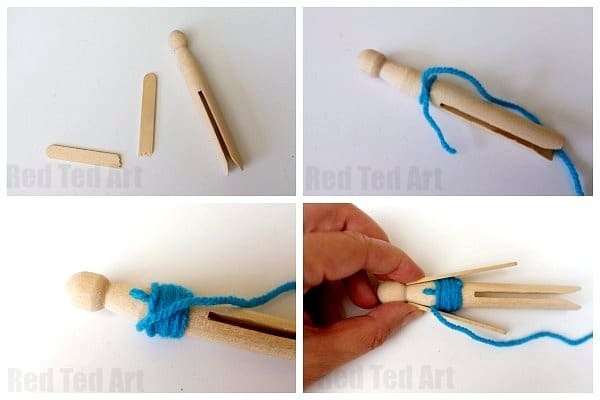 Today we will make “bigger” worry dolls using clothes pegs or “Dolly Pegs”. 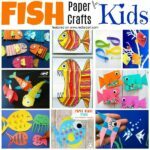 You can easily get these online and there are so many adorable Dolly Peg crafts you can make from these (do check out our Mermaid Peg Dolls and our Pom Pom Fairy Dolls for the Christmas tree!). 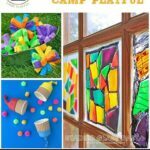 As these are bigger, they are far more manageable for kids and not as fiddly. If you don’t have all the materials to hand – don’t worry! 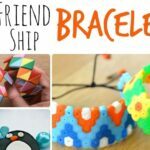 You can make substitute arms using pipecleaners. Also you can get as creative as you like when decorating the face and head – my kids love dipping the head into a little glue and then a pot of glitter. Fabulous. See what you have to hand! 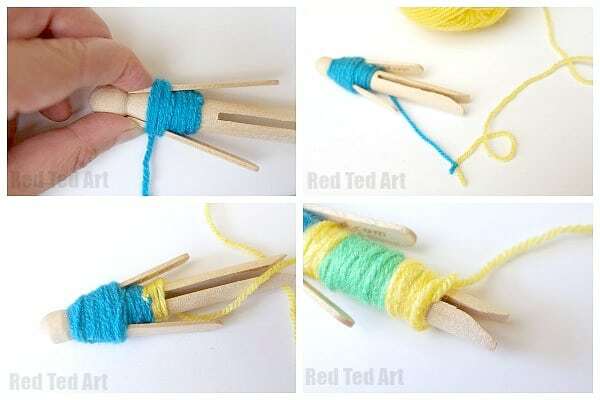 If you are making smaller worry dolls, you can replace the wool with embroidery thread. Alternatively experiment with using fabric scarps and securing these with your wool! Prepare your lolly stick by breaking it in half. Get it as “half as possible, so both arms are the same length. Tie your first colour around the waist of your doll and start wrapping your wool UP towards the head. 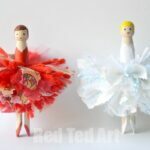 Most peg dolls have a slant just under the head – aline your broken crafts stick pieces and hold in place. If you wish you can glue them in place first. Secure in place by wrapping your wool tightly around the craft sticks all the way up the neck. Then work the wool back down again – under the arms and back to the waist. Time for a colour change – simply cut your first colour and knot to the second colour. Then start wrapping! Hide your knot and knot ends by wrapping over them. Change colours as often as you like. When you get to the bottom of your doll, cut your wool and carefully make a little knot by looping it in itself. Then tuck any excess wool between the legs. Add a little face and hair using pens. As these dolls have their origins in Guatemala we like to give them black hair, but you can choose! (Optional), you can add some woolly hair by gluing strands in place! 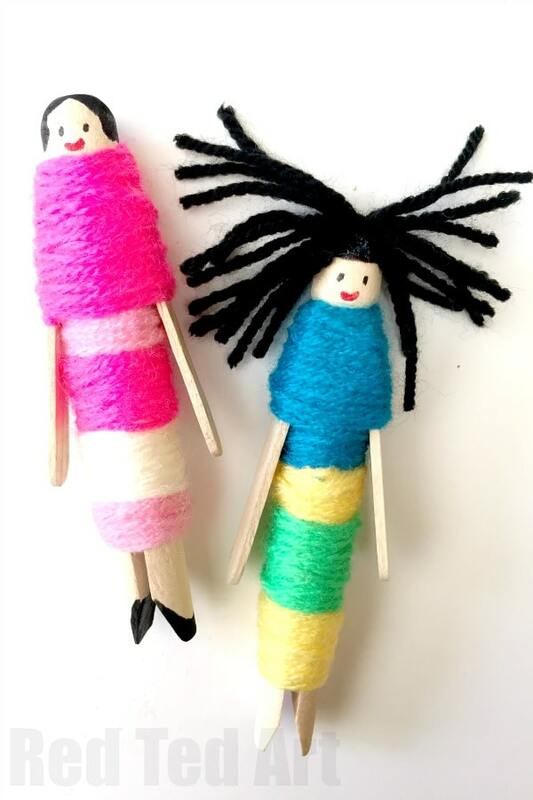 Your Worry Dolls around now finished and can be put to go use at bedtime! SLEEP WELL! Guatemalan Worry Dolls are easy to use. Ad bedtime you tell each on of your Worry Dolls a worry or about something that is troubling you. You then placei t unde the pillow, and by the next day your worry will be gone! The dolls take charge of your worries and you are able to sleep better. I confess, that I haven’t yet found detailed instructions of how to make traditional Guatemalan Worry Dolls! However, they are easily purchased online (a fair number available on Amazon even – US readers/ UK readers!!). Enjoy.